Mrec Oy is an independent financial adviser in property and infrastructure related transactions and investment value maximising operating in the Nordic countries. Mrec was established in 2010 and since then the company has executed over 50 transactions with a combined gross asset value of over EUR 1.5 billion. Mrec’s straightforward approach is based on four main principles: client comes first, solid expertise, proactivity and high ethical standards. Mrec delivers its results by combining these four principles with hard working ethics and never gives up. As a personnel-owned company, Mrec always puts itself in line with clients combining clear aligned interests. Mrec’s clients are typically international and domestic investors, including funds and institutions, public and private companies and construction companies. In 2015 Mrec started research cooperation with Pangea Property Partners, which was extended into a strategic partnership. Jointly, Mrec and Pangea have offices in Helsinki, Stockholm, Oslo and London and are able to serve clients throughout the Nordic countries. Currently Mrec employs seven professionals with strong track records from various backgrounds, including investment banking, asset management, fund management, financial accounting, property and infrastructure investments, and valuation. Mrec has office in Helsinki and together with Pangea Property Partners the combined entity covers also Stockholm, Oslo and London. Mrec and Pangea Property Partners have an in-house cross-border research team that closely follows the Nordic property and capital markets. The research supports our transaction services and gives guidance to our clients in important decisions. 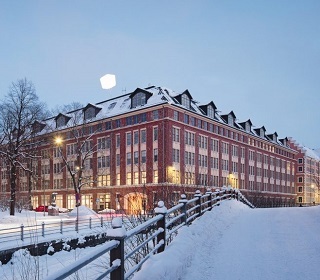 Mrec acted as an exclusive advisor to Ilmarinen Mutual Pension Insurance Company in the sale and JV structuring of EUR 400 million office portfolio in Helsinki. The portfolio was acquired by a new JV structure Antilooppi, established by Ilmarinen and the Swedish pension company AMF. Following the transaction Mrec was responsible for the interim management of Antilooppi as an operating partner together with Swedish Cavendo AB. During the interim management period, Antilooppi made new acquisitions worth EUR 250 million, signed lease agreements for over 60,000 sqm, recruited the operative personnel and arranged short term financing facility for new acquisitions. Antilooppi was successfully handed over to the new management after 15-month interim period.